The Audi SQ7 is the latest generation of an eight-cylinder “self-igniter”. The 4-liter V8 TDI engine is the next evolutionary step in sporty diesel technology and the strongest diesel SUV in the world. In addition with the chip tuning box PowerControl and the standard all-wheel drive, DTE Systems turns the Quattro into a fascinating sports SUV. The Audi SQ7 TDI is currently the strongest and fastest diesel SUV. With the performance pack from DTE Systems, the SQ7 extends its overall lead: +60 hp and +102 Nm of torque increase the distance to the competition, such as the Porsche Cayenne Diesel or the BMW X6 M50d. Both competitors have more than 100 hp lack in engine power. 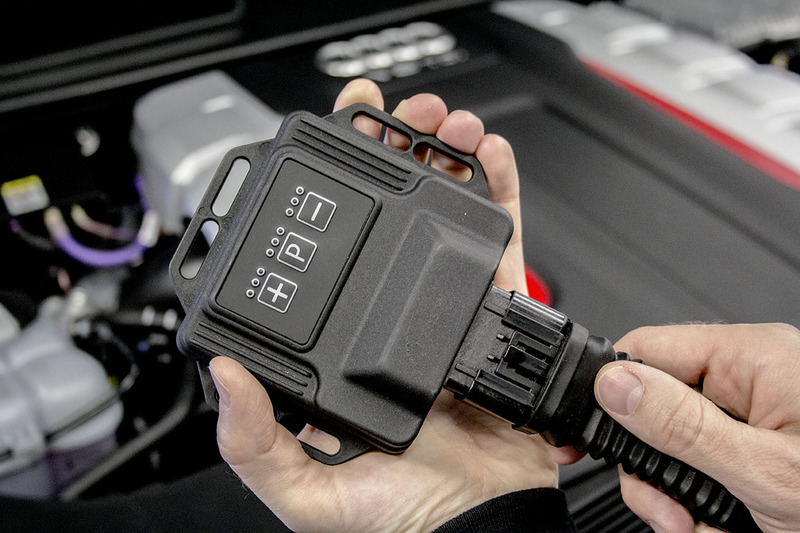 The powerful DTE tuning box is connected to all central sensors and installed tailor-made in the engine compartment. In real-time the incoming signals are processed, optimized and passed on to the ECU. 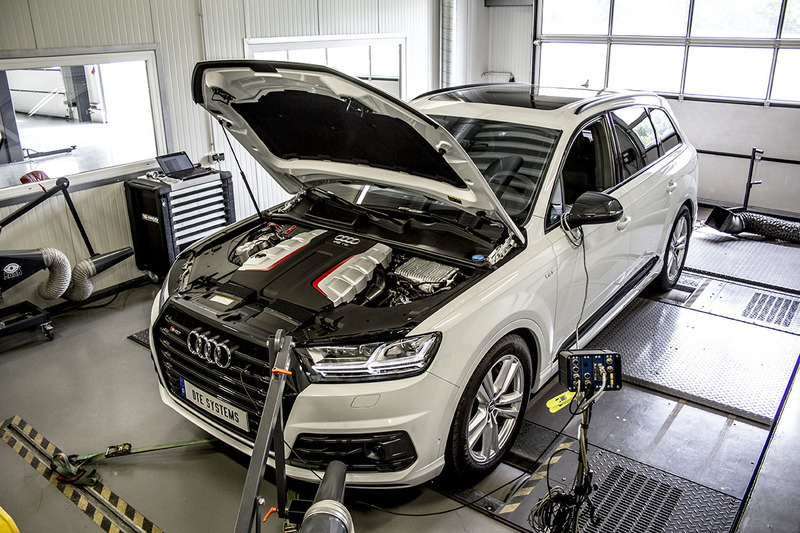 The chip tuning box puts out an impressive performance in the Audi SQ7. In only a few seconds, the needle of the speedometer hurries towards 60 mph and beyond. With the latest tuning technology of DTE’s tuning box, all protection functions of modern TDI-engines are maintained and the diesel emission values remain unaffected. Due to the optimized combustion across all performance ranges the fuel is used 100% efficiently. This means that the DTE tuning modules can also be used without restrictions for vehicles with a diesel particulate filter. With the PedalBox, the SQ7 reacts more directly every time the driver steps on the gas pedal. Once the right foot hits the ground, the Audi is pushed forward with a proper thrust. The PedalBox can be quickly connected to the accelerator pedal electronics. The tuning module than compensates weak spots that the heavy Audi has during accelerates. The direct throttle response throughout the speed range ensures an exceptional power output and unbeatable driving pleasure. 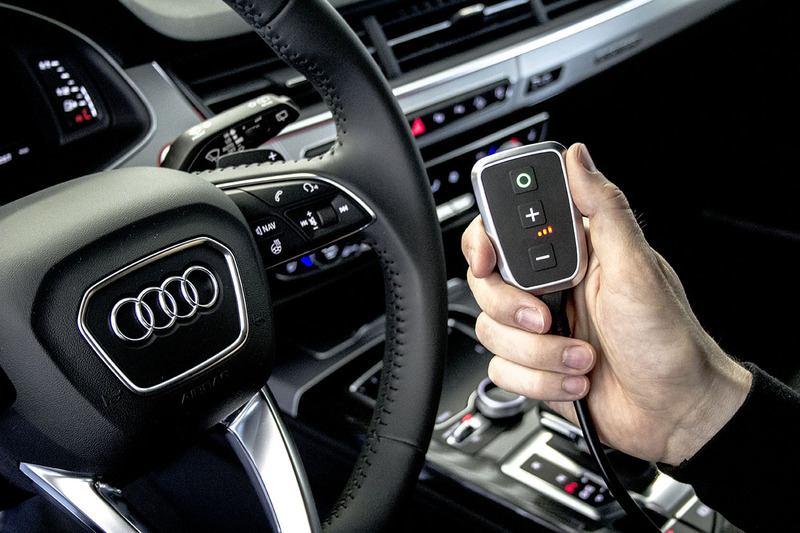 Using the control buttons of the PedalBox, the gas intake of the Audi can be adjusted comfortably and individually. 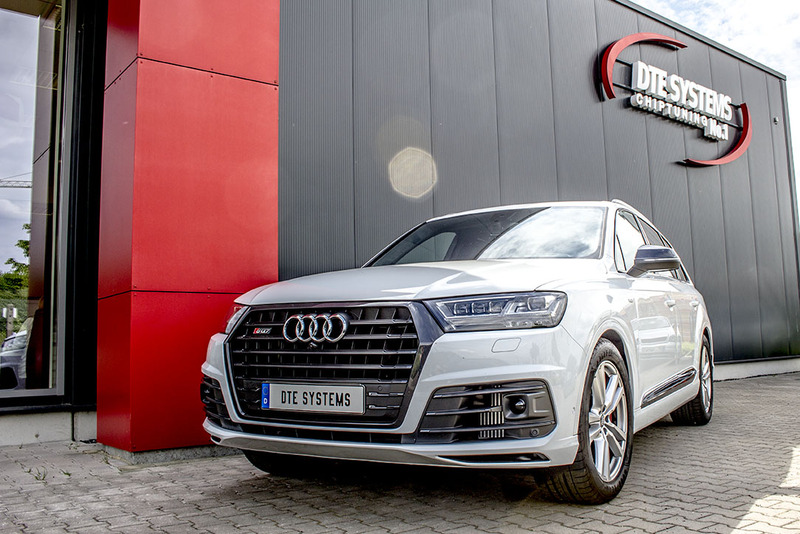 For a maximum driving experience, DTE Systems offers the perfect performance package for the Audi SQ7 with the chip tuning box PowerControl (999 €) and the accelerator pedal tuning PedalBox (229 €).